Change is tough – we can help. 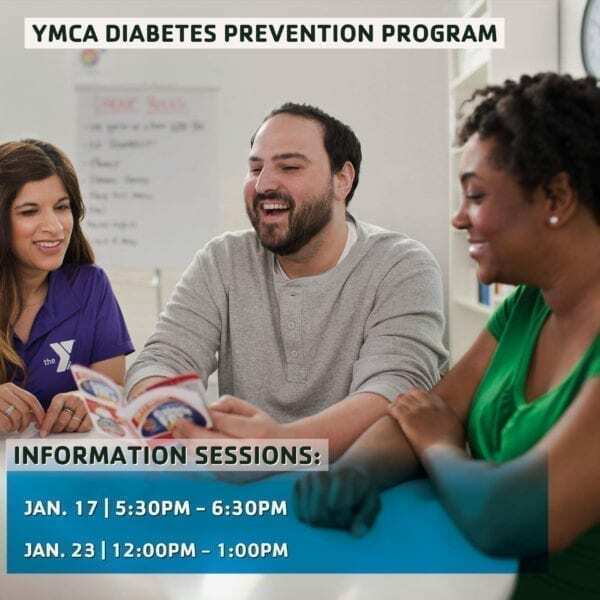 Come learn more about the YMCA’s Diabetes Prevention Program and start a new journey with support in 2019. The YMCA DPP program is a CDC recognized, evidence-based program and can reduce your risk of developing diabetes by 53-71% through simple lifestyle changes and peer support over the course of one year. The information session will cover program goals, class structure, program fee, scholarships, ideas for healthy eating and finding a fitness routine that works for you. The program includes a 4-month free YMCA membership and then a highly discounted rate for those who are actively attending class. The information session is FREE and there is no obligation to sign up for the class. There will be a noon and evening class. Information session times are below, classes will begin the following week, same day and time. Questions or registration contact Emmaly at renshaw@crmetroyma.org or (319) 775-0450. Pre-registration is not required but welcomed. A1C 5.7-6.4%, Fasting Glucose or 100-125 or take risk survey through the link.